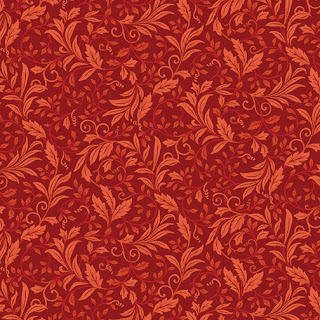 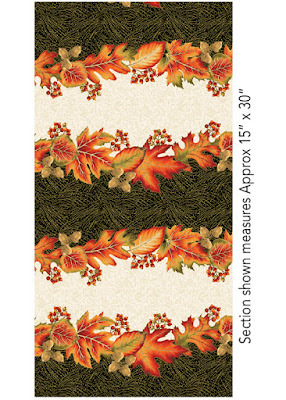 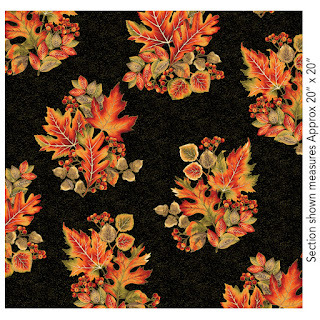 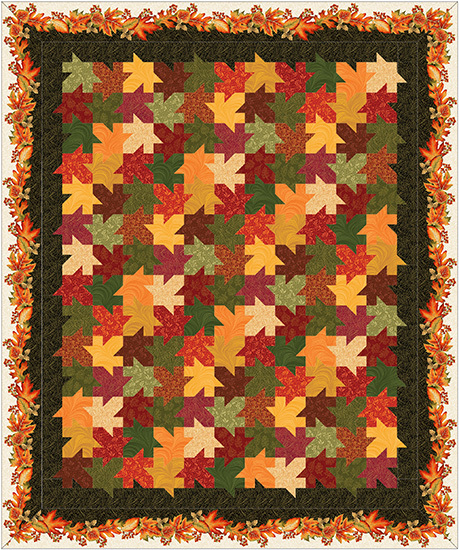 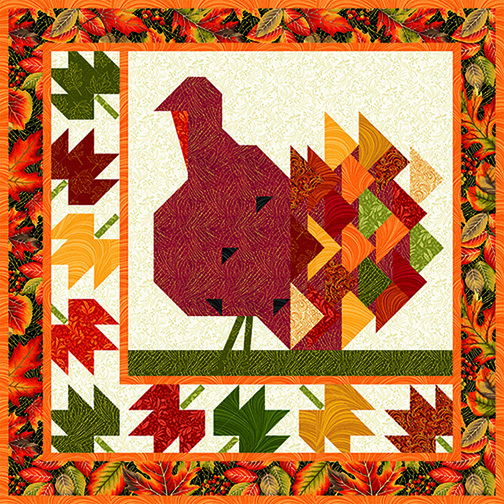 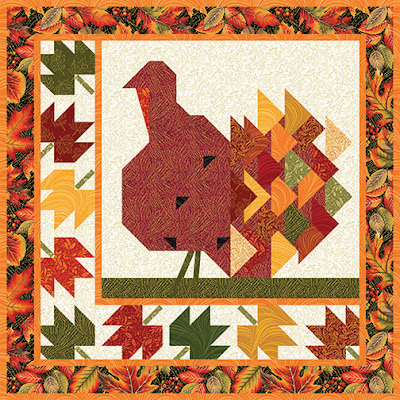 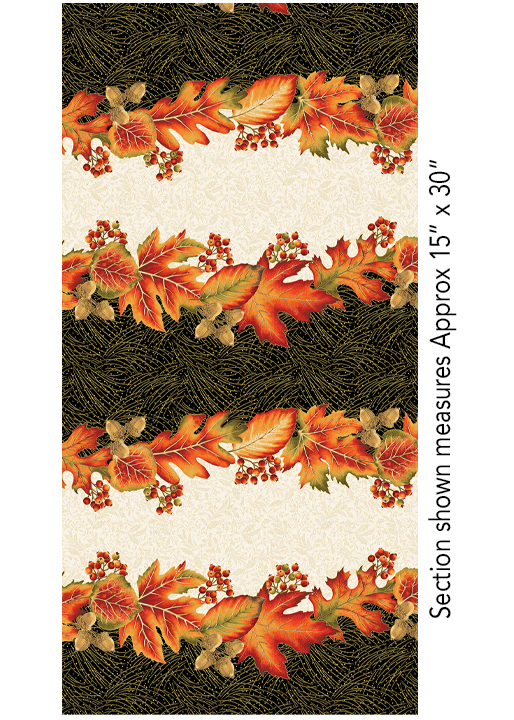 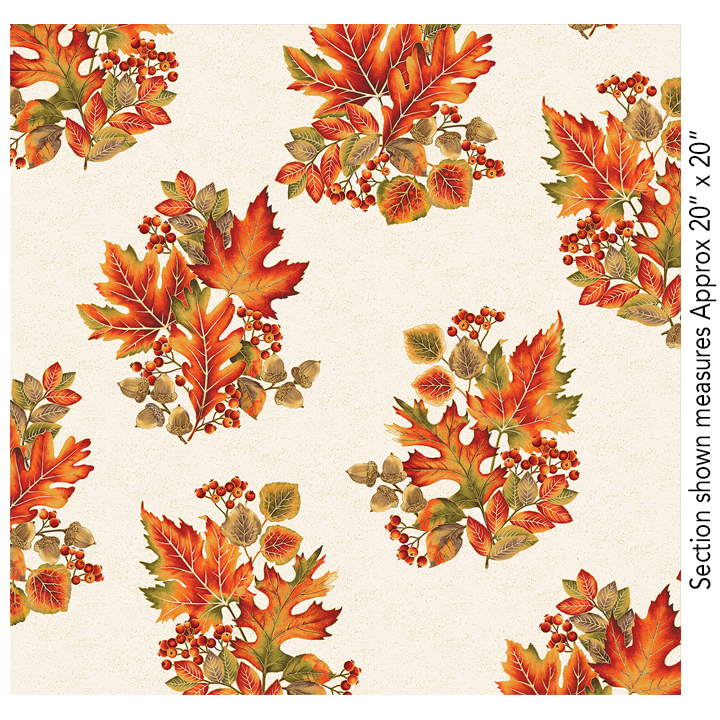 I really like the Tessellating Leaves and Turkey Gobbler patterns. 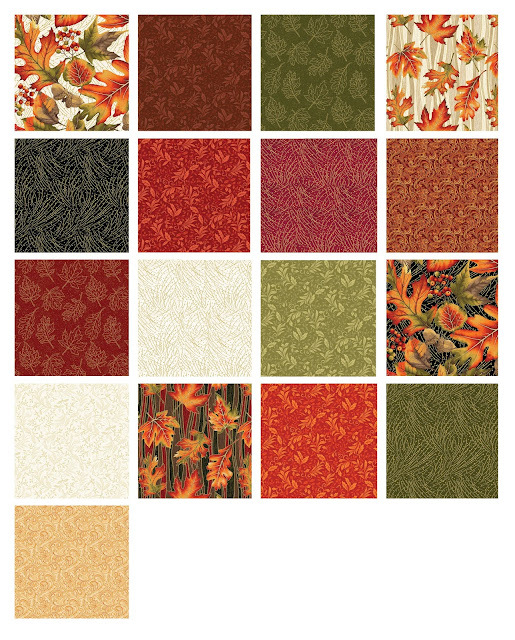 All the fabrics took my breath away, my favorite seasons are Spring and Fall, with Fall being my absolute favorite so I can see this line and patterns will be on my shopping list soon. 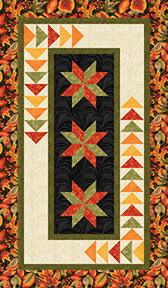 Thanks for highlighting this collection - just what I'm in the mood for and something to look for during Row by Row! 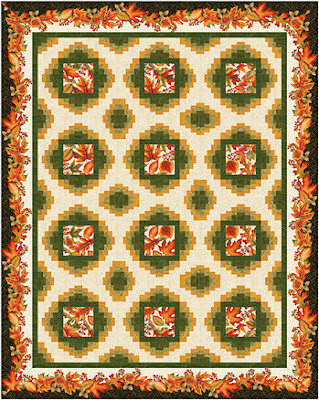 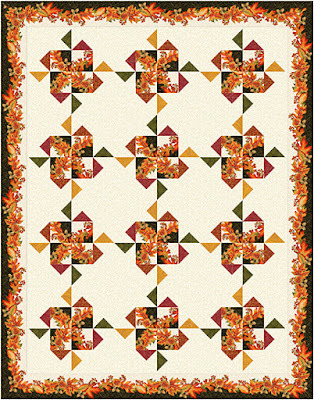 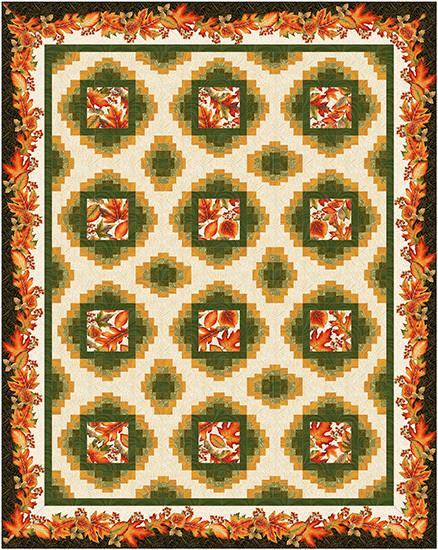 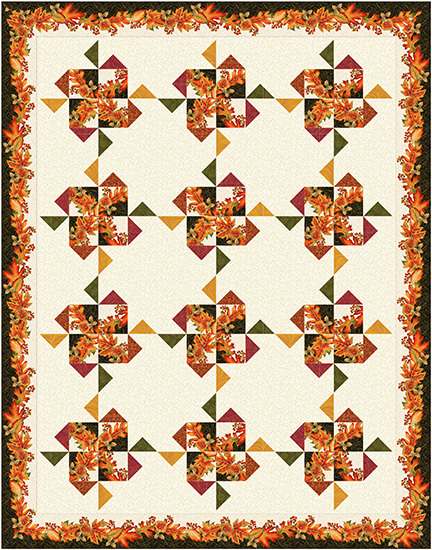 Love the runner pattern, but the pinwheels one fascinates me, too.